Moving to a new home will always incur costs that cannot be gotten back; therefore in many situations it makes more sense to utilise the space you already own. 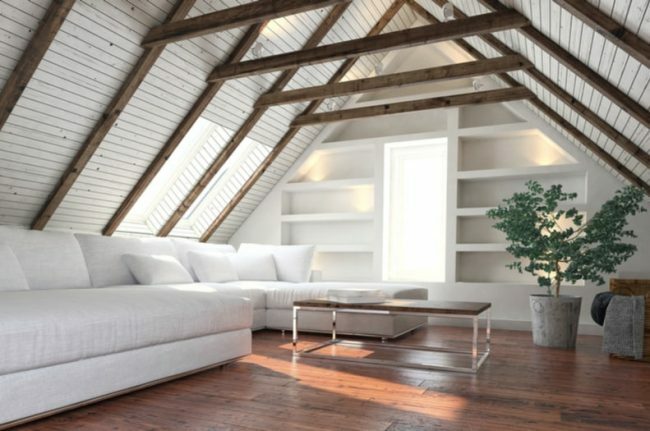 A loft conversion is an idea worth thinking of if you are seeking some extra space, and it will ultimately add value to your home if done the right way. But do loft conversions need planning permission? If you are want to handle major home improvement projects or construct your own house, getting planning permission is among the first tasks to tackle. The construction of a new house and extensive alterations to an existing house normally need consent from local planning authorities, which comes in form of planning permission. This system has been put in place to prevent inappropriate construction activities. Do You Require Planning Permission for a Loft Conversion? Loft conversions are taken as Permitted Development (PD), because you aren’t changing the current footprint of the property, but your design will have to follow some set parameters. Given that you want to extend beyond the boundaries of a Permitted Development, or your home is situated in a conversion region, then you’ll have to make an application for a planning permission. You are allowed to apply for a planning permission on any existing piece of land even if you do not own it. Your planning decision should not take more than 8 weeks from the day you make an application. Objections from neighbours and other local people might not influence the final decision. You are free to withdraw a planning application at any time, and submit later free of charge. You can submit as many planning applications as you like on any single site. Building Regulations approval is mandatory for a loft conversion, even if you do not need planning permission. A building control surveyor inspects the conversion at different stages and is responsible for the issuance of a completion certificate after the last inspection. Given that your place of dwelling is semi-detached or terraced, you’ll be required to inform your neighbours about the planned construction work if it is listed under the Party Wall Act requirements. There’s reasonable sound insulation set in place between the loft conversion and the rooms beneath it. Do you live in Middlesbrough or Newcastle and require expert loft conversion services? You do not need to look any further! QLC Lofts is a trusted company that offers a wide range of loft conversion services to clients residing in Middlesbrough and Newcastle, North East, UK. We are known for our exceptional work, experience and transparency. If you would like to talk to us about loft conversions, please call us at 0800 043 4083 or fill out our online form.